The VPN Lab - VPN Guides - Torrent Guides - Does CyberGhost Allow Torrenting? 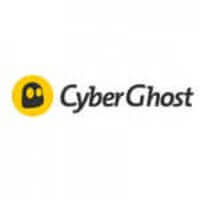 CyberGhost is a VPN company located in Romania, which is excellent news for all Internet users looking to improve their online security levels. Although Romania is a member of the EU, they’ve managed to keep their legal surroundings extremely VPN-friendly. The country refused to implement EU directives concerning mandatory data retention back in 2008 and then again in 2014. After this, their Constitutional Court also deemed the local data retention law unconstitutional, depowering it in its entirety. What all this means is that Romania is a country you definitely want handling your online safety. So, we’ve laid the groundwork for our torrenting purposes, the only thing left is to see whether CyberGhost actually allows torrenting (spoiler alert: it does). In order to run our favorite clients based on BitTorrent protocol (uTorrent, for example), we first have to make sure the company supports P2P transfer on its servers. Luckily for us, CyberGhost does allow torrenting, which gets our initial concern out of the way. On the topic of servers, CyberGhost currently operates 1,100 + servers scattered across 51 countries. CyberGhost started out with a very modest number of servers, but it’s adding to that number on a monthly basis and definitely contests some of the biggest names at this point. 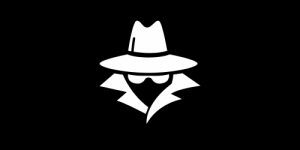 Our next concern is whether this VPN can provide the optimal level of online security, protecting us from infringements of copyrights and similar claims. Especially in the US, copyright holders have created a pretty tight situation when it comes to sharing and downloading their content. CyberGhost uses military grade encryption, which is simply a more marketable way of saying it implements industry standard AES-256 cipher. The offer also includes auto data compression and HTTPS connection settings. The company also implements a combination of RSA-2048 and SHA-256, which recently replaced MD5 authentication due to the popular demand. CyberGhost incorporates DHE-2048 perfect forward secrecy, which will generate a random key for every session. This will further immunize your connection against potential breaches. Also note that Romania stands outside of the 5, 9, and 14 eyes circle, so you won’t be faced with any form of institutionalized surveillance. 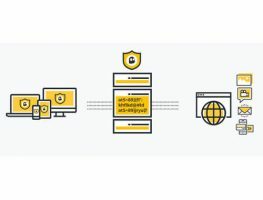 In the past, CyberGhost used to install a root certificate on the user’s system in order to block advertisements and other forms of unwanted content. This caused a severe backlash from both users and reviewers, but new updates made the said root certificate obsolete anyway. The ideal case scenario is a VPN service that allows you to torrent on every single server in its offer. Unfortunately, this is not the case with CyberGhost. Namely, only some of its servers can handle the massive P2P traffic and none of them is located in the US. So, if you can’t connect to any other server, you pretty much won’t be able to download torrents in the US.